(JERUSALEM- February 8th, 2011) Tuesday, February 8th marked the first ever “Jewish Identity Day” in the Knesset, an initiative of the Tzohar rabbinical organization and a highlight of its Tzohar Legislation Project. The Project acts as an apolitical forum designed to provide Knesset members with Jewish outlook and context in the law making process. The Project has gained the support of Knesset parliamentarians from all across the political landscape. Anastassia Michaeli, who moved to Israel from the former Soviet Union and underwent a Jewish conversion today represents the Yisrael Beiteinu party in the Knesset. MK Michaeli said that the role of an organization like Tzohar to help promote Jewish values in Israeli society is invaluable. “The work of an organization like this to bring Jewish texts and Jewish understanding into the heart of Israel’s legislative center here in the Knesset is sure to help Israel further develop itself both as a Jewish and democratic country,” she said. 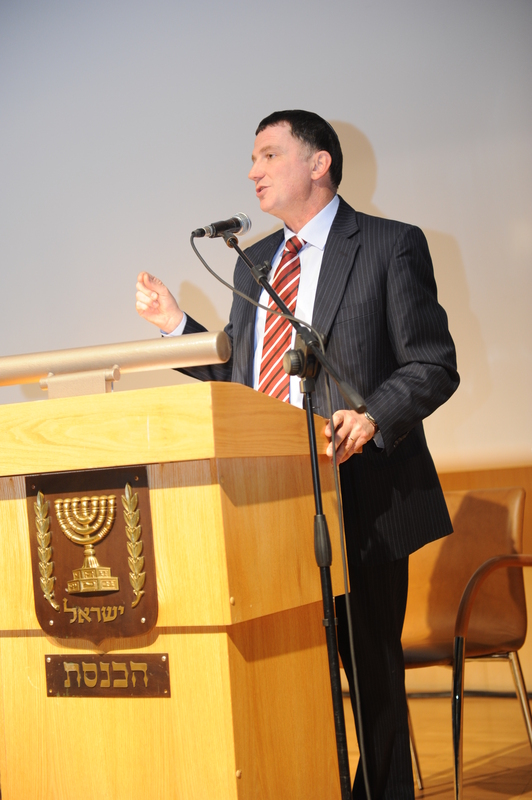 At a special meeting of the Knesset Internal Affairs committee held as part of the day’s activities, MK David Azulai of the Shas party called on the Chief Rabbinate and The Ministry of the Interior to work together to better deal with issues of those recognized Jewish by the Rabbinate and yet refused citizenship by the Ministry of the Interior. He specifically proposed that Tzohar as a non-governmental party should be consulted to help facilitate this process.